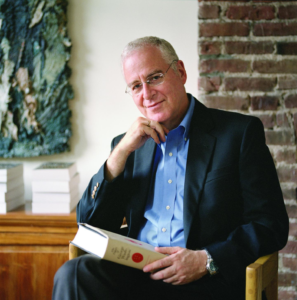 White House Correspondents’ Association (WHCA) president Olivier Knox announced today that presidential biographer Ron Chernow will headline the 2019 White House Correspondents’ Dinner. Following last year’s presidential roast by comedian Michelle Wolf, Ron Chernow brings a decidedly different approach to the nearly 100-year old dinner. Chernow, a famed presidential historian, will turn the focus from humor to the power and significance of the 1st Amendment. Chernow, who wrote the biography that inspired Lin-Manuel Miranda’s Broadway hit “Hamilton,” is the prize-winning author of six books and the recipient of the 2015 National Humanities Medal. His first book, The House of Morgan, won the National Book Award. In 2011, Chernow won the Pulitzer Prize for Biography for Washington: A Life. In addition to Wolf, past headliners of the Correspondents’ dinner include: Wanda Sykes, Jimmy Kimmel, Jon Stewart, Drew Carey, Keegan-Michael Key, among many others. Each year, the star-studded WHC Garden Brunch hosted by Tammy Haddad and friends serves as the official precursor event to the WHC dinner. The Garden Brunch highlights charitable causes making a difference. Past non-profits include Wells Fargo’s Homes4WoundedHeroes home give-a-way program for veterans, the White Ribbon Alliance, and DogTag Bakery (DogTag’s veteran-made Christmas baskets are available to order here). The selection of biographer Ron Chernow marks a stark contrast to the usual line-up of comedians that host the annual “nerd prom” dinner. It’s clear that the WHCA is shaking up the format and sending a message with the announcement of Ron Chernow. The 2019 White House Correspondents’ Dinner will take place on Saturday, April 27th, at the Washington Hilton. Founded in 1914, the White House Correspondents’ Association exists to promote excellence in journalism as well as journalism education, and to ensure robust news coverage of the president and the presidency. The WHCA supports awards for some of the best political reporting of the past year, as well as scholarships for young reporters to promote vibrant journalism for years to come. The inaugural White House Correspondents’ dinner took place on May 7, 1921.